If you travel to the northernmost part of Malta you will find the gorgeous village of Mellieha that bears an impressively rich history and abounds in memorable tourist attractions. Here, you will find the largest sandy beach on the island, pristine natural landscapes and an entire amusement park dedicated to Popeye, the beloved cartoon character. Contrary to general misconception, most of Malta’s coastline is rocky and has very few strips of soft sand. This makes the beaches of Mellieha even more precious and attractive. Located on both sides of the Mellieha stretch, these sandy oases offer the perfect opportunity to spend a full day tanning under the Mediterranean sun. 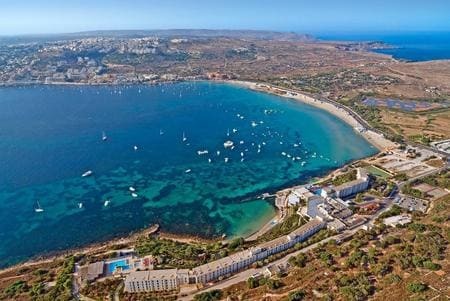 One of the main tourist attractions in the area is Mellieha Bay, which is the largest sandy beach in Malta and offers a variety of facilities that include snack bars, showers, toilets and rental shops for umbrellas and snorkeling gear. Here you can practice fun water sports like windsurfing, canoeing, and kite-surfing. If you stray away from the bay's sheltering shadow you will find the same crystal-blue waters along the coast in Slugs Bay, Armier Bay Beach, and Paradise Bay Beach. Your last stop should be at Cirkewwa, which is where you can board a ferry to the islands of Gozo and Comino. Most of the beaches in Mellieha are separated by rocky hills, as it is the case on the southern part of the Mellieha stretch, where you can bask in the sun on the Golden Bay Beach or the Ghajn Tuffieha Bay. These lovely spots also present you with the opportunity to do a bit of sport as you can hike up the hills and reward yourself with breathtaking views of the surroundings. When you get tired of lying on the beach, you can try more engaging activities, and in terms of entertainment few can match Popeye’s Village. 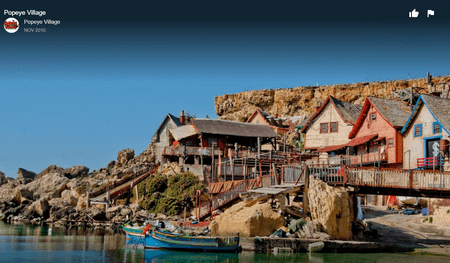 You will find this popular tourist attraction in Anchor Bay, just a few kilometers away from the village center of Mellieha. Popeye’s Village is the former film set of the movie Popeye, starring Robin Williams and which was shot here in 1980. Back then, film technology did not allow virtual creations of fiction settings like today, so the entire home village of the beloved sailor had to be built from scratch. The result was a colorful, eye-catching fishermen’s port that the authorities decided to transform into an amusement park instead of tearing it down once filming ended. Today, Popeye’s Village is a welcoming family-fun park open seven days per week for tourists and movie projections. 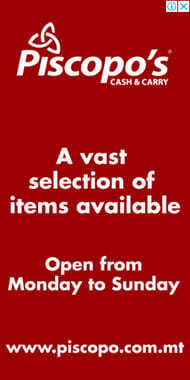 Mellieha has something for every taste. 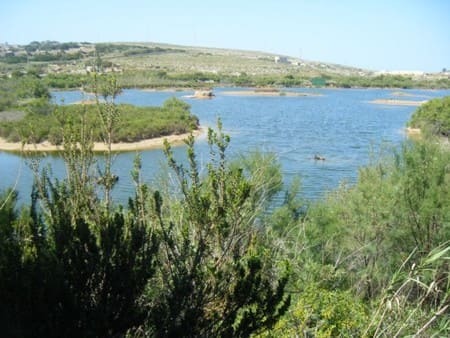 Nature lovers will thoroughly enjoy trekking through the Ghadira Natural Reserve and witness the Maltese wildlife up and personal. This area is a 7-acre preserve of salt marshes that are open on weekends from November to May. Here, you can take in the beauty of pristine landscapes, practice bird watching or unwind on the shores of the brackish lake. If you have a couple more days to spare while in Malta, why don't you read some of the best things to do while you are there?